This is extremely thin masking tape that conforms to curves and bends. This tape rubs down and lifts off easily. 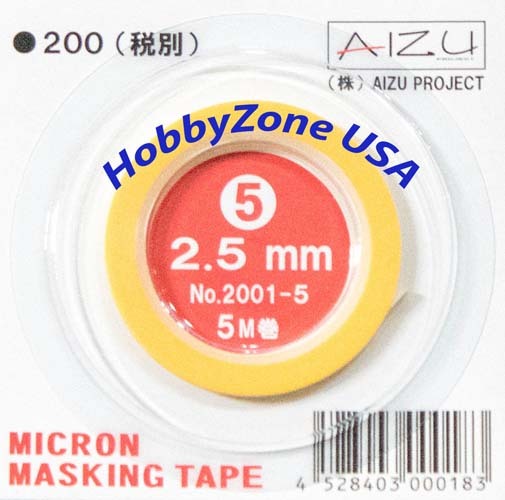 One spool of 2.5mm (0.1") wide by 5 meters (16.4 ft) of Micron Masking Tape.